The summer weather we were all waiting for has finally arrived, so what better time to post our list of favourite places to enjoy a Sunday Brunch in the sun ? Some restaurants are perfect for a relaxed family brunch with very young children while others are better suited to older kids, please let us know what you think and if you have other recommendations to share. Bon appétit and…don’t forget your sun cream ! 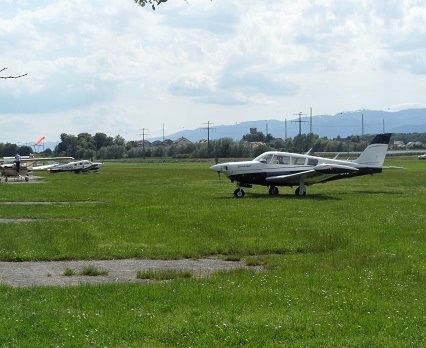 The Relais de l’aérodrome in Prangins (Route de l’Aérodrome, tel. 022 365 75 45) is the perfect place for a family Sunday brunch during the summer months, ideal for children of all ages thanks to its vast garden, outdoor play area and first-row views over the propeller planes that take off right opposite the restaurant. Our favourite bit is that parents can truly relax on the terrace whilst keeping en eye on the young ones. 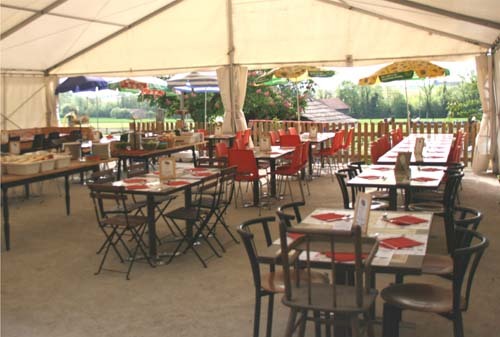 Renowned in the area for its delicious meat and fish dishes, the Relais de l’aérodrome treats its Sunday brunchers to a large selection of cold cuts, cheese and freshly grilled meat or fish from the BBQ. The buffet-style Sunday brunch begins at 11am and finishes at 1pm, prices are 55CHF per person and 28CHF for children aged 3 to 10. Advance booking is a must. This year, the Sunday brunch at Les Jardins du Châteaux de Vuillerens will start on Sunday 11th of May 2014, for Swiss Mother’s Day. 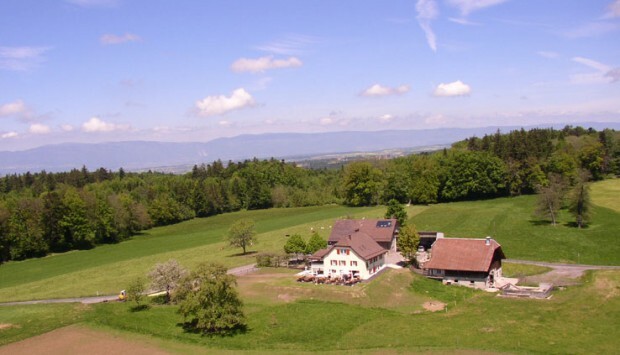 Located in Canton Vaud, this is truly a memorable, unique place with its beautiful iris gardens and kids play area. 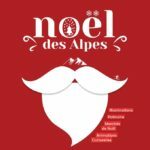 Call 079 844 68 60 or email info@ateliersaveurs.ch to reserve your places, prices are 55.00CHF per person (drinks not included) and 28CHF for children aged 4 to 12. Read more about these beautiful iris gardens in our post from last spring. Auberge du Chalet-des-Enfants in Le Mont-sur-Lausanne (VD) is a lovely restaurant that got the thumbs-up from everyone who’s ever tried it. 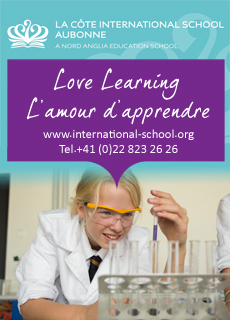 The atmosphere is relaxed, warm and welcoming and perfect for families. 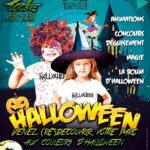 They have an indoor area with wooden toys and drawing material for the little buttons as well as a great play-area outside with swings, carved animal statues and a wooden cabane made out of branches ! As the French would say: bucolique. Brunch is served every Saturday and Sunday (click here to see their brunch menu) and it costs around 29 CHF per person, while children pay 2.50 CHF per year of age. 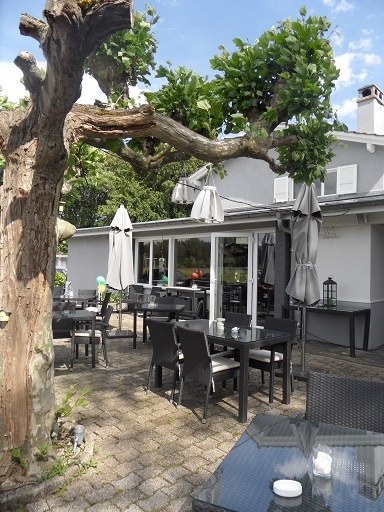 La ferme aux saveurs d’autrefois in Bussy-Chardonney (VD) serves brunch every Sunday from 9.30am to 1.30pm all year round. We’ve blogged about it already in our previous post “Brunch at the Farm” and it’s definitely a great place to take the kids as it’s also a working farm with animals. Click here to see the brunch menu made with fresh local produce. 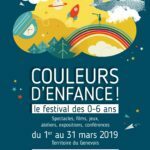 Prices are 35 CHF for adults, 1.50 CHF per year of age for children aged 5-13 and just 5 CHF for children under the age of 5. Must be booked well in advance as it’s very popular. 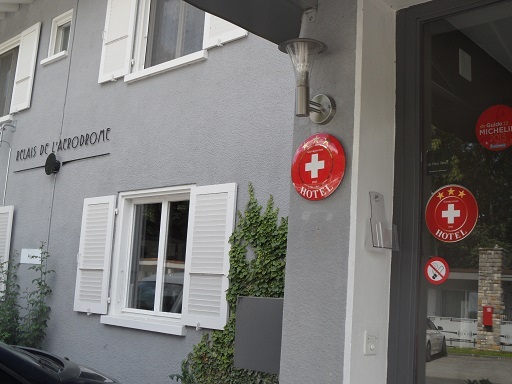 Un R de Famille (Rue Goetz-Monin 10, tel. 022 328 22 23) is by far one of our favourite places in Geneva for a laid-back family brunch, perfect for children of all ages. In summer, reserve a table on their glorious shaded terrace: family life in the city doesn’t get much better than this ! Read all about Sunday brunch at Un R de Famille in our previous post and make sure you reserve your table in advance at 022 328 22 23. 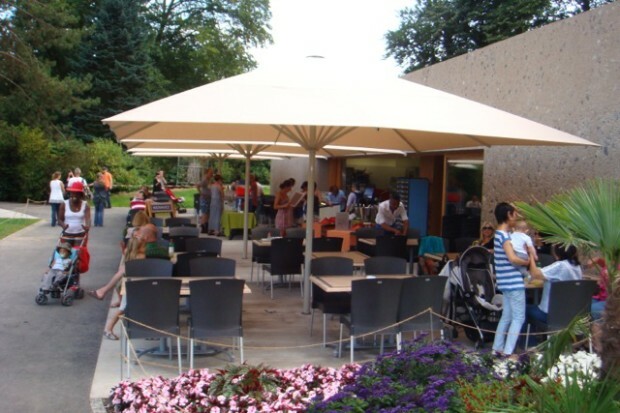 Le Pyramus restaurant at the Jardin Botanique in Geneva has been recently renovated and it’s a good place to enjoy Sunday brunch with the kids during the summer months at very affordable prices. Brunch is served every Sunday from 11am to 3.30pm with a large selection of cold meats, eggs and buttery pastries. 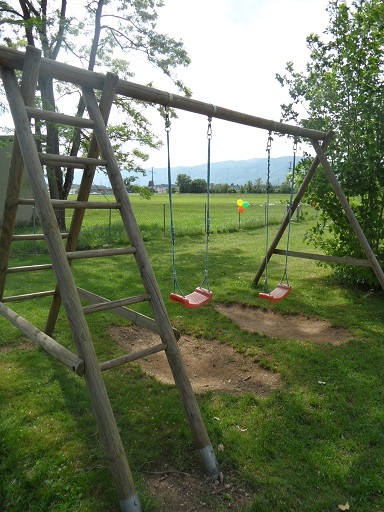 Prices are 28CHF per person and 12CHF for children until the age of 12. After lunch, you’re already set for a great afternoon walk in the Botanical Gardens: the children will love the small zoo, wooden play area and surrealist merry-go-round. Geneva’s Eaux-Vives neighbourhood is one of our favourites, especially in the summer. Where else could you catch spine-tingling glimpses of the lake and the jet d’eau, and truly feel like you’re on holiday ? 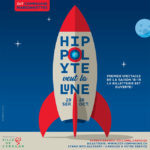 For this reason, Genevan bistrot Chez La Voisine (Rue du 31 Décembre 8, tel. 022 735 14 98) deserves a place in our top list. As summer unfolds, so does their pretty outdoor terrace, and Sunday is all about scrumptious brunch dishes served in different international styles: American, English, Spanish, Swiss & brunch Versaillais. Prices start from 29CHF. The restaurant is ideal for families with older children as the terrace is close to the main road and there is no play area for toddlers. 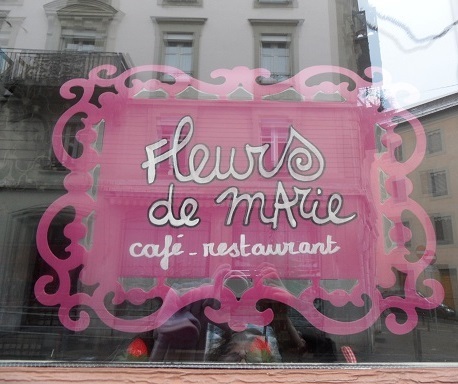 Fleurs de Marie (Rue de la Faucille 8, tel. 022 733 47 30. Opening times can change, so give them a call to check before you set off: closed Monday & Tuesday, Wednesday 8.30am to 5pm, Thursday 8.30am to 3pm, Friday 8.30am to 9.30pm, Saturday & Sunday open for brunch from 10am to 4pm). A true hidden gem in the colourful Les Grottes neighbourhood, Fleurs de Marie is homely & kaleidoscopic all in one with a very distinctive “fairytale kitsch” décor, which makes it one of the coolest places in Geneva to kick back. 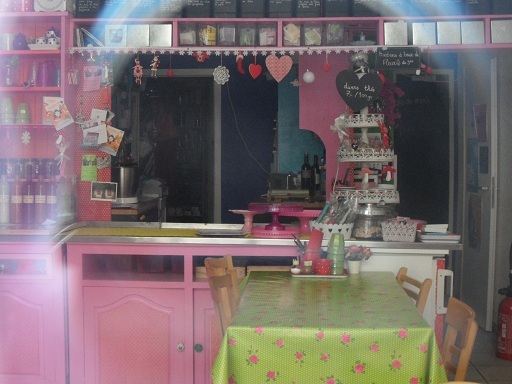 The choice of homemade jams, salads, juices and cakes at very reasonable prices is the proverbial cherry on the gateau. Service can be slow, but this is not the place for people in a hurry. 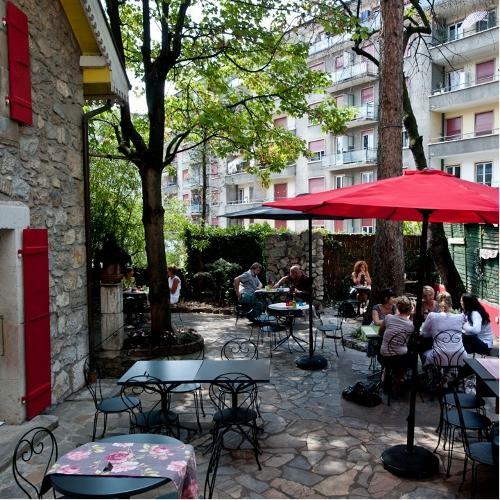 In spring & summer, relax Genevois-style in their lovely outdoor terrace. The Restaurant ô Calme in Carouge (Rue Ancienne 36, tel. 22 301 22 20) is famed for its hearty, homemade Sunday brunch which includes bircher müesli, eggs, pancakes and irresistible salads. 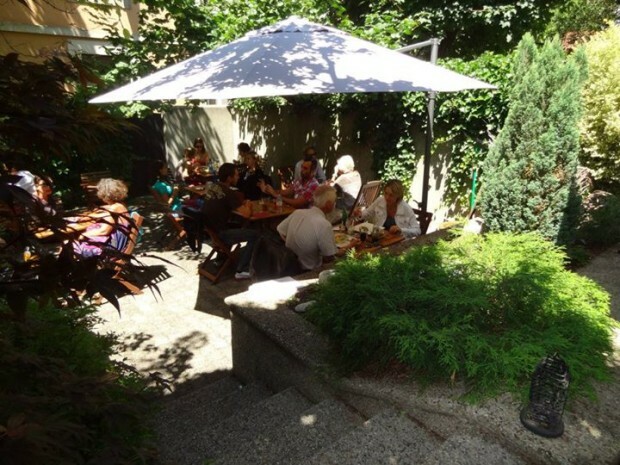 With its laid-back, friendly atmosphere it’s also one of the most popular cafes in town – if you have older children make the most of their cozy shaded terrace but remember to reserve in advance as it fills up very quickly. Click here to check out their brunch options, it will make your mouth water ! Enjoy a delicious buffet-style Sunday brunch in the charming Art Deco setting of the Café & Restaurant du Parc des Bastions. From 11.30am to 2.30pm make the most of their wide selection of heavenly pastries, sweet and savoury breakfast treats, cold meats etc. 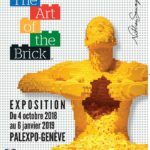 for just 48CHF per adult and 22CHF per child. After such a sumptuous brunch, you might need to burn off some extra calories but no need to panic: the patinoire at the Parc des Bastions is open on Sundays and we guarantee the kids will love spending the afternoon there. 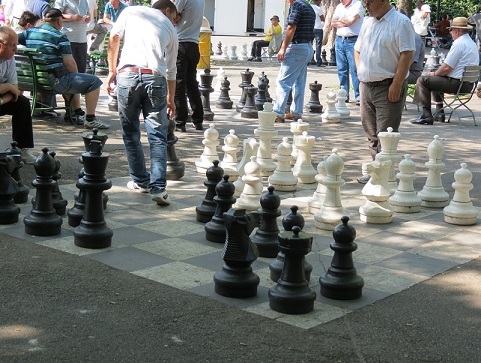 Alternatively, try the giant chess games or the swings and climbing frames of the park’s excellent playground, just outside the restaurant. Advance booking at the Café & Restaurant du Parc des Bastions is required at 022 310 86 66.